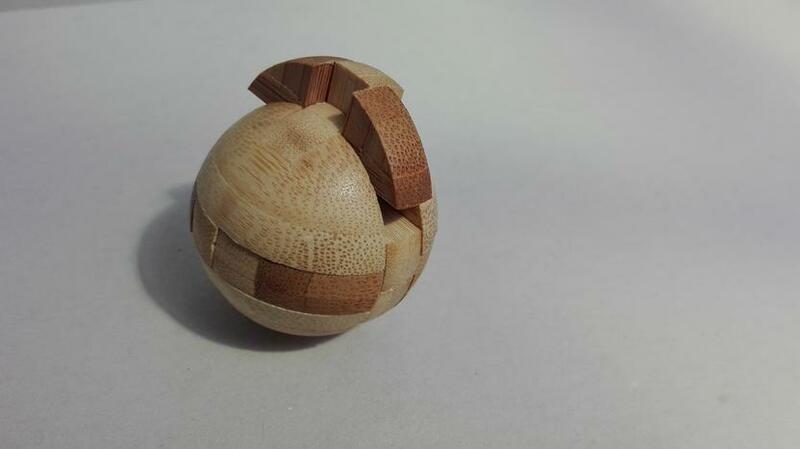 The 3D wooden sphere puzzle is a classic that has stood the test of time. The interlocking pieces of this bur puzzle are made from lightly contrasting wood, and it is such a well presented piece that it can be left on a coffee table to tantalise visitors. Dimensions / Form: 45mm (1.75") sphere. Pieces: 1 ball consisting of 12 individual pieces. 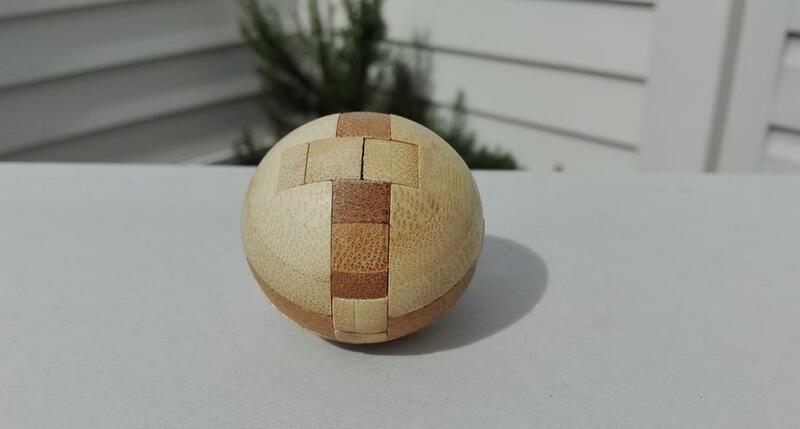 1 x shrink wrapped wooden puzzle ball. From just whiling away time, to sharpening the mind, the applications are much as you would expect. Puzzle solving has long been shown to keep and enhance mental ability, and de-stressing in the workplace has more recently been shown to have benefits. From a talking point to inspiration for your next interconnected build, this attractive puzzle will entertain, as well as, at times, infuriate, but always amuze. If I take it out of the shrink wrap, will the pieces fly everywhere? It's OK; the pieces interlock and you have to very deliberately move a piece in order to start the dissasembly process. It wouldn't particularly puzzling if we did that. But what if I forgot how it came apart, or I can't figure out how to put it all back together? An internet search will yield results, but are you going to click onto a hint, or a full-blown walkthrough? One of these options might be considered not quite in keeping with the spirit of these puzzles. I can't get started. What do I do? Have a prod. 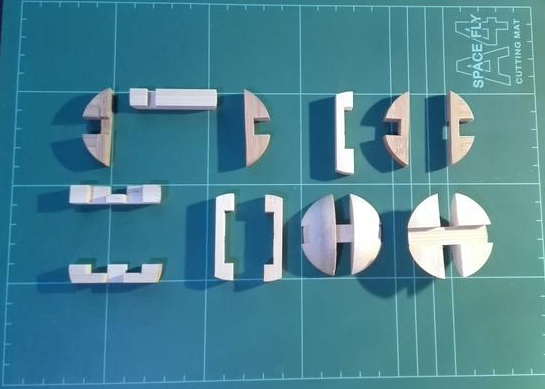 One of the pieces will start to move. Are you after a quick hint? Try again, but bear in mind the pieces may have settled, and require a little firmness at first.